I started this project in December 2011. 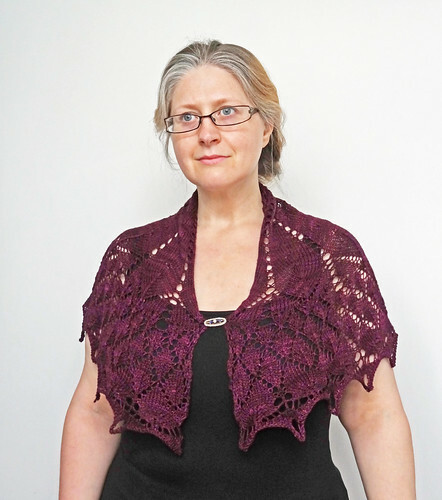 It is a lovely little shawlette design by Kyoko Nakayoshi of Cotton & Cloud fame, called the Raindrop Shawlette. I whipped through the pattern pretty quickly, in fact it took me less than a week, as it was a well written and nicely charted pattern. I finished it and blocked it and took photos. And it was when I was taking photos that I noticed this. I know the loops are a bit iffy, but that's not what I'm asking you to look at. Do you see that edge point without a loop in it? That shouldn't be there. I compared my photos with Kyoko's and realised that I must have read the pattern wrong. I know it doesn't look that bad (apart from the weirdly blocked pointy loops) but it would drive me cuckoo, so I flung it in the "must fix later" pile. 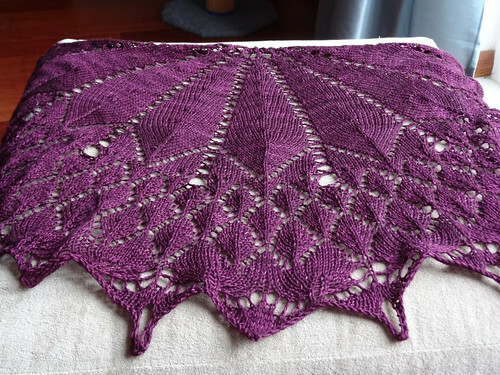 I finally got around to picking up the shawl again last week and frogged back the cast off edge and the last three rows, which took plenty of time, as I un-knit rather than ripped the rows. I then pulled my pattern out (which Kyoko had kindly gifted to me via email) and started to knit the last three rows again. It was at this point I realised that my pattern (which was an early un-corrected one) had the repeats in the wrong place for the loops and the points. I had actually knitted what the chart instructed me to, it was the chart that was wrong! There were far too many knit stitches on either side of the loops, on the chart! The lines that marked the repeats were too far apart. I was very pleased I hadn't gone completely off the rails and mentally amended the chart to make the loops in every point. I now have a lovely little shawlette. I apologise for the quality of these photographs. It is VERY dark and wet here today, but I really wanted to get this project in my DONE list. The weird colouring is because of Photoshop tweaking to make the shawl visible. The following photo is more accurate colourwise. If nothing else, I'm glad I re-knit this bottom edge so I could re-block those points. They are much less weird this time round! The first time round I thread the blocking wires through the bottom points as well as the top edge. This time I just used a blocking wire along the top edge, and put a pin in each loop to get a less warped bottom edge. It worked much better this time round. 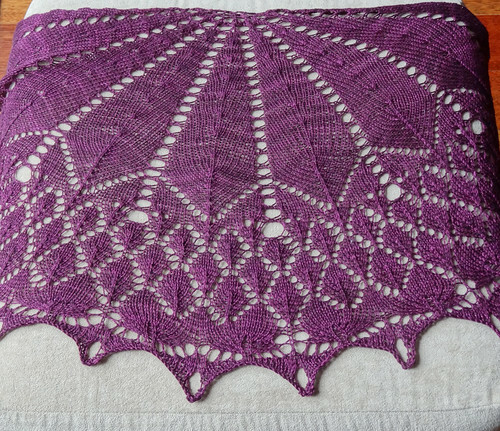 The yarn I used for this project was the beautiful Semi-Precious 4-ply dyed by BabyLongLegs. The colour is delicious and the yarn is 50% merino and 50% silk. This base yarn is gorgeous and Sarah does a fantastic job of imbuing it with beautiful and vibrant colours that are hard to find elsewhere. I don't think I've ever bought a yarn from BabyLongLegs that I don't absolutely adore. 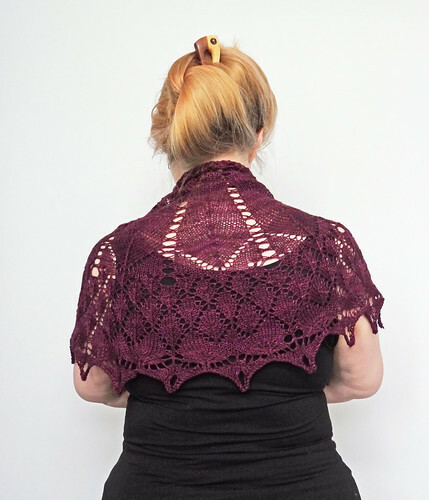 This yarn and this pattern together make a really dressy shawl. It's a great combination. I am so pleased I fixed those points! 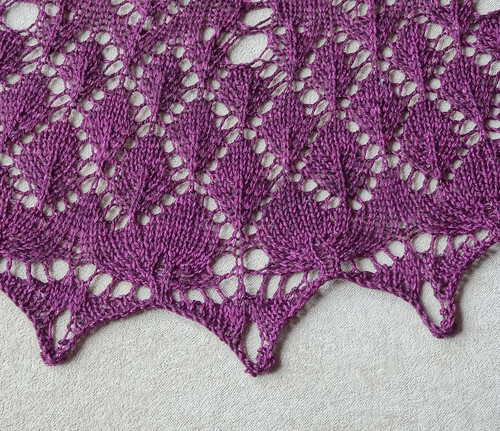 Now you can see the lovely shaping in the lace charts, properly. 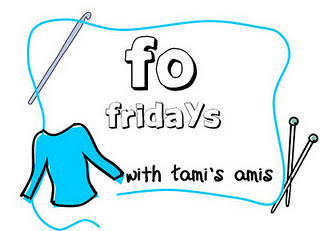 I'm linking up, as usual to Natural Suburbia and Tami's Ami's and Other Creations. 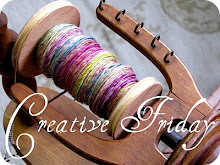 Click on button to look at other gorgeous projects.